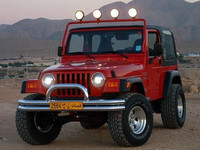 Photos of the HID Lights on the Jeep above the city before sunset. 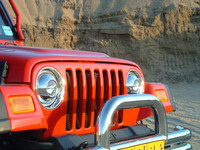 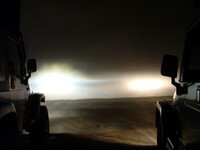 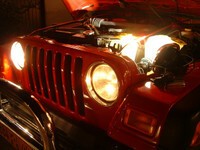 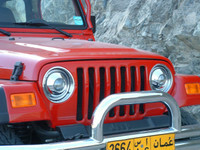 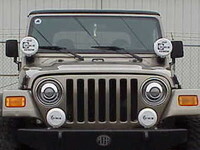 Comparison photos with a Jeep Wrangler equipped with the factory H4 lights, and our HID-equipped Jeep Wrangler! 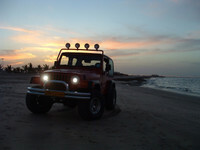 Pictures taken with the Marina Bander Al Rhowda and the surrounding scenery as the back drop.